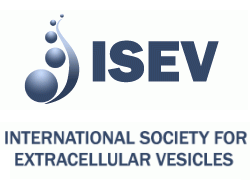 As in the past, this year’s International Society for Extracellular Vesicles (ISEV 2016) annual meeting featured a pre-meeting education day to bring interested parties up to speed on extracellular vesicles (EVs), particularly on key recent developments. For the first time, however, the full-day effort was divided into two parallel sessions: “Novel Developments of Isolation and Characterization of Extracellular Vesicles” and “Extracellular Vesicle Therapeutics.” The two tracks, coupled with the outstanding attendance by 400 scientists and students on May 3, 2016, are yet another indication of the tremendous recent growth of the EV field. The Education Day was held at the De Doelen International Congress Center in the heart of Rotterdam, the Netherlands, and this venue will also be the site for the ISEV 2016 meeting running from Wednesday, May 4- Saturday, May 7. An attendance of over 800 is expected for the ISEV 2016 meeting. The education session on novel development of isolation and characterization of EVs, began, perhaps appropriately, with a discussion by Cecilia Lasser on a highly impressive educational tool that will become available to everyone a little later in May. The tool is a Massive Online Open Course (MOOC) on EVs. The online course will seek to provide a highly useful informative resource with the basics of EVS described in presentations by world leaders in the field. Among the subjects covered initially will be a historical introduction, presence of EVs in bodily fluids, a description of the biogenesis of EVs, different methods of isolation, and different approaches to characterization and quantification. When launched later in May, the MOOC can be accessed at the following URL: https://www.coursera.org. Lasser was followed by Jan Lötvall, this year’s outgoing president of the ISEV, who first expressed his belief that the EV progress has been an “amazing journey” from the small first ISEV meeting held in 2012 to this week’s Rotterdam meeting which expects over 800 attedees from around the world. Lötvall’s talk was titled “Heterogeneity and Pre-Analytical Factors,” and emphasized particularly the need to characterize and differentiate amongst all the different sub-types of EVS and he listed a number of the various names these sometime overlapping subtypes have been given over the years (e.g., exosomes, microvesicles, oncosomes, prostasomes, ectosomes, apoptotic bodies). He also emphasized the need to pay close attention to the presence of exosomes present in fetal calf serum, when used in experiments, and the need to remove these FCS exosomes prior to use in EV experiments. Next, An Hendrix described a comparative study of commonly used EV isolation techniques and discussed the impact of isolation method choice on downstream EV analysis. The four isolation methods compared were ultracentrifugation, OptiPrep density gradient separation, and two commercial kit-based approaches: the ExoQuick kit and the Total Exosome Isolation Kit. One result was that the retrieval of EVs, as assessed by both nanotracking analysis (NTA) and immune electron microscopy (EM) was obtained by the OptiPrep density gradient approach. Hendrix also noted the utility of large-field EM images in assessing and appreciating the purity of a sample. She also emphasized the enormous importance of quality control experiments, pointing out that in a recent publication survey of 1,000 journal articles on the isolation and/or characterization of EVs, 16.5% of the articles described no quality control experiments at all. Chris Gardiner then described results of the 2015 ISEV survey on how scientists around the world are approaching their EV work. The survey received 196 responses from scientists from 30 countries and 4 continents. A great number of topics were covered. With regard to starting material, the dominant material was conditioned cell culture media; 98% of the work was done with eukaryotes; and the starting volume was generally determined by the nature of the starting material. The principal isolation method as ultracentrifugation, but more and more scientists were found to be working with a combination of methods, particularly for complex biological fluids. Characterization was chiefly done by Western blotting and single particle tracking on about an equal basis, followed by EM. Gardiner concluded that about as many techniques are being used as there are researchers. With regard to isolation techniques of the future, Gardiner opined that chromatography, field flow fractionation, microfluidics, and affinity purification might be in ascendancy. Next, Charles Lai described visualization and tracking of EVs using a novel bioluminescent EV reporter obtained from Gaussia princeps. This approach provides significant specificity, accuracy, and resolution, Lai argued. Additional morning talks in this session included Chris Gardiner on the NTA analysis of EVs, Edwin van der Pol on tunable resistive pulse sensing analysis of EVs, Marca Wauben on flow cytometry of EVs, and Estheer Nolte-‘t Hoen on a comparison of NTA, qNano, and high-resolution flow cytometry. In the afternoon session of the second topic track, EV Therapeutics, Ken Witwer began with a discussion of the “Challenges of Anti-Viral EV Vaccine Development.” He began by saluting the “incredible” progress that has been made in the battle against HIV/AIDS, noting that both the number of new infections and number of deaths have been going down. He noted that recent work has shown that the HIV protein Nef can be incorporated into exosomes. Use of exosomes would avoid one of the vaccination problems associated with the high evolution rate of HIV. Oh Youn Kim described outer membrane vesicle (OMV)-based vaccination. She described work indicating that bacterial EV OMVs have a lipid bilayer and may be effective as vaccines against the bacteria they are derived from. She emphasized the importance of bacterial vaccination by noting that infectious disease is the second leading cause of death worldwide. She also reported that her group had shown that E. coli OMV immunotherapy could eliminate bacterial sepsis in 48 hours. In closing, she noted that protoplast-derived nanovesicles could prove to be the next-generation OMV, particularly as they would provide an approach to avoid patient exposure to toxic outer membrane components. Next, Hernando del Portillo discussed vaccination with parasite-derived EVs.” He prefaced his remarks by suggesting that vaccines are the most effective medical treatment, having saved an estimated over 700 million lives to date. He further noted that many parasitic diseases (e.g., river blindness and elephantiasis) are diseases of poverty. He described a number of efforts in which exosomes from worm-infected cells had been shown to protect animals from lethal infections. He also noted the interesting observation that exosomes from infective worms seem to have significant anti-inflammatory and anti-allergy effects. All of this data argues strongly, del Portillo maintained, that the time is right to move these investigations to humans. Furthermore, such an effort would have the potential of providing significant social benefits. Later talks in this session included Clotilde Thery describing a number of EV-based clinical trials in cancer that had not generated very promising results. However, Thery indicated her belief that much might be improved with progress in more accurately sub-typing the EVs that are used in this work. Subsequent talks were given by Lawrence Rajendran on EV therapy in neurological disease and Sai Kaing Lim on mesenchymal stem cell (MSC) therapy. The session closed with Susmita Sahoo speaking on cardiac repair after myocardial infection and Riccardo Alessandro describing therapeutic applications of edible plant EVs. Thanks to the wonderful efforts of all the speakers and organizers, the 400 Education Day attendees should be much better prepared to absorb the exciting material presented in the ISEV 2016 Annual Meeting that begins tomorrow.